The navy's light forces. The masters of daring sorties, crafty ambushes, and hunting for aircraft carriers and battleships. They rely on their speed, maneuverability, and stealth. Universal ships capable of varied tactics. The ultimate duelists, a destroyer's worst nightmare, and a shield against enemy aircraft. Irreplaceable during defense and attack. A team’s main source of firepower. Giants with the thickest armor and mightiest guns. They can survive a huge amount of damage and destroy an opponent with just a couple of salvos. The long arm of the navy. The masters of reconnaissance and air strikes. Their main weapon is deck-based aircraft. They offer unique strategic gameplay and boast multiple functions. This nation is represented by four ship types. Versatility is a common feature of U.S. ships. They are the best at facing airstrikes, having reliable armor and quick rates of fire. These original ships rely on speed and powerful armament instead of thick armor. The destroyers and cruisers are the best options for those who like powerful long-range torpedoes. British light cruisers combine the features of both cruisers and destroyers. They are better for military cunning than for mere duels. They have high rates of fire and short-range torpedoes. 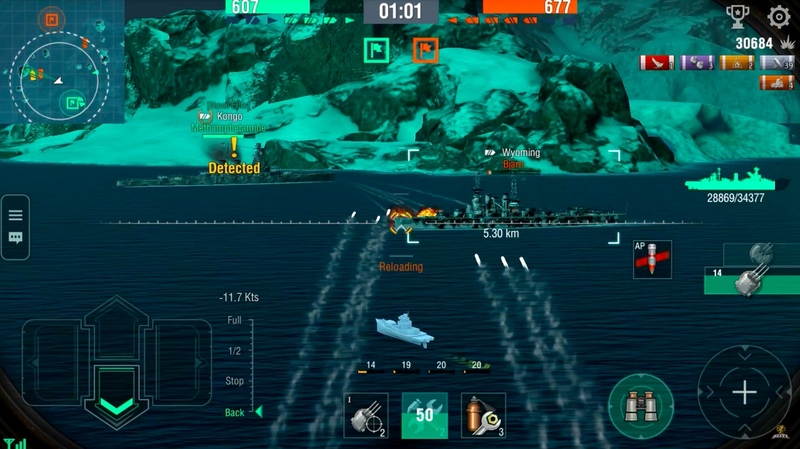 German ships have perfect armor and penetration efficiency. 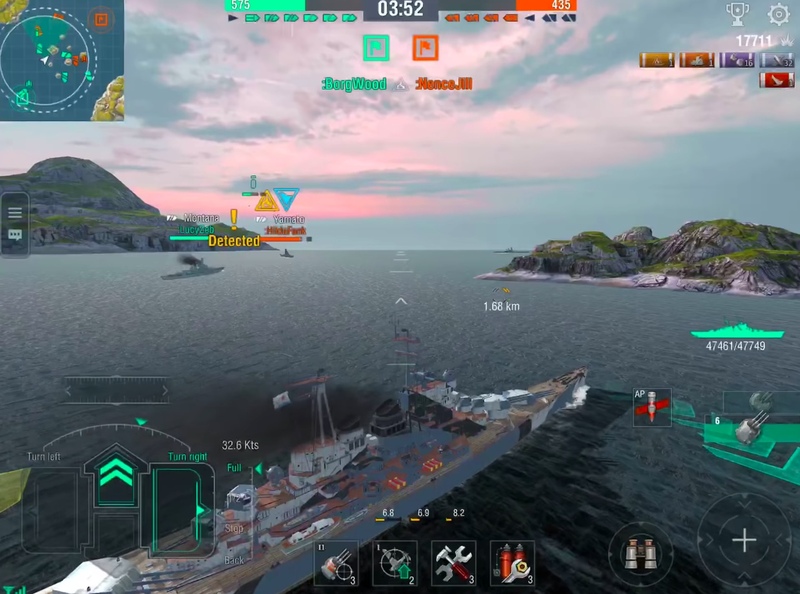 The battleships excel at taking a hit when rushing to a key location. The cruisers boast effective AP shells and torpedoes. The Russian Empire and U.S.S.R. are represented by destroyers and cruisers. Perfect ballistics, speed, and fire accuracy are precious in battles. They are all about aggression and risk. 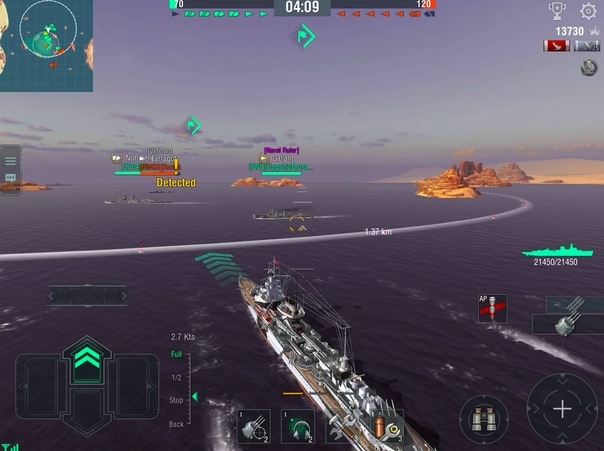 You might encounter one destroyer and one cruiser from the East — Anshan and Huanghe. The first is of Soviet origin; the second is British. After World War II, they both had Chinese Commanders. France is represented by the battleship Dunkerque with its unique arrangement of main battery guns, and the cruiser De Grasse, a ship that offers fast speeds that help it keep up with destroyers. Become a Commander and plunge into global naval history! Join the Navy! Conquer the seas!